Litigation is said to be the act or process of bringing or contesting a legal action in Court. Whether you have suffered injury as a result of an accident or the negligence of another or you require legal action to protect your personal or property rights it is imperative that you seek good legal advice as soon as possible. 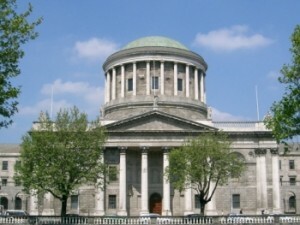 Martin J. Burke Solicitors have the experience, skills and expertise required to help you to seek compensation for injuries or loss arising from the negligence of another party through the Personal Injuries Assessment Board (PIAB) or to secure an order of the Court to ensure protection of your rights. Litigation by it’s very nature is a process and, though many disputes will be resolved long before they are likely to go to Court many do in fact end up before a Judge who will decide on the issues at hand. The process itself is a complex one and an experienced practitioner will ensure that the case of their client is guided through this process in a timely manner. They will ensure that good advice is provided to the client throughout both by themselves and through other experts or professionals if required in order to bolster your case as best possible and ensure the most favourable outcome for you. For more information on any of the above please contact us here.